NNFAPP has teamed up with Sweet Tomatoes in Glenview! 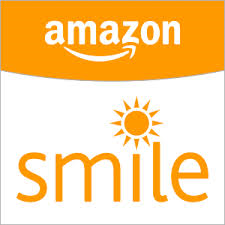 They will donate 20% of sales to us from 5 pm to 8 pm on Monday, October 28. Please bring the flyer for us to get credit. They are located at 2351 Willow Road in Glenview. Enjoy a great meal and help Niles North Fine Arts Parents & Patrons at the same time! Niles Township High School District 219 musicians have been invited to perform at the upcoming Illinois Music Educators Association (IMEA) District 7 Festivals. Students from the orchestra, choir and band underwent stringent auditions to qualify for the festivals. Their performances will determine whether these musicians receive an invitation to the All-State Festival in Peoria, IL, January 22 through 25; the most prestigious high school music festival in the state of Illinois, and the highest single honor a high school musician can achieve. Karli Goldenberg, flute; Daniel Aisenberg, Bb clarinet; Ashley-Faith Ferrer, contrabass clarinet; Daniel Sahyouni, percussion; Jacob Nagler, bass (principal); Robert Sanders, violin; Sally Alvarado, soprano I; Megan Crane, alto I; Michael Hennessy, bass I; Anna Hill, alto I; Roselie Mazor, alto II; Emma Steger, alto I; and Noah Zeidman, bass II. David Liljewall, guitar; Sally Alvarado, soprano; Jazib Gohar, tenor; and Noah Zeidman, bass. The Niles North Music Department presents a FREE choir and orchestra concert at 7:30 p.m. on Wednesday, October 23 in the Auditorium at 9800 Lawler, Skokie. Clark Chaffee directs the orchestras. The Philharmonic Orchestra will perform “An English Folksong” by Terry McQuilkin, based on “Dives and Lazarus,” a lovely, lilting way to open the program, as well as “Little Symphony” by Carold Nunez. The Symphonic Orchestra will play “Incantations” by Richard Meyer and “Folk Tune and Fiddle Dance” by Percy Fletcher. The combined orchestras will close with “Samba, Samba,” a piece written by Chaffee that was inspired by the joyous rhythms, melodies and harmonic progressions of Caribbean steel drum music. Daniel Gregerman directs the choirs. The Choraliers and Concert Choir will sing “Ain’t Judgin’ No Man” by Greg Gilpin. The Chamber Choir will perform “Stay Awake” from “Mary Poppins,” arranged by Jay Arnold and “Bill Bailey, Won’t You Please Come Home,” arranged by Greg Gilpin. Chorale will sing “The Water Is Wide,” arranged by Darmon Meader, “Afternoon on a Hill,” by Eric Barnum, “Prayer,” by Rene Clausen and “Praise to The Lord,” arranged by F. Melius Christiansen. The choirs will combine to perform “Sabbath Prayer” from “Fiddler on the Roof,” arranged by John Leavitt. NNFAPP will be hosting the bake sale during the concert to benefit both the orchestra and choir students. All items will be $1.00. 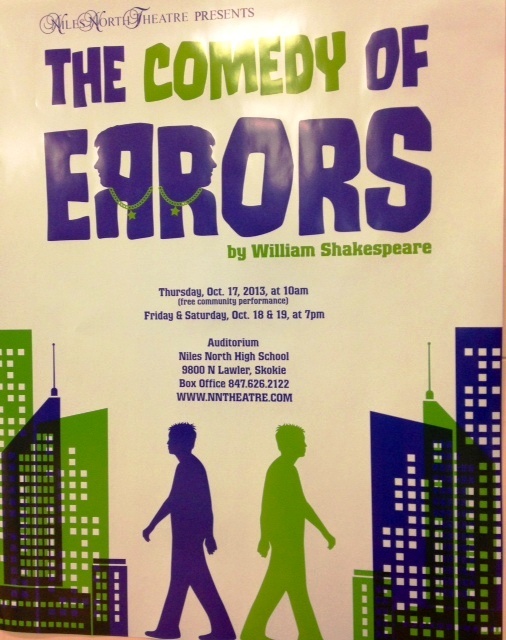 Enjoy one of the silliest, slapstick comedies by the greatest playwright of the English language when the Niles North Theatre Department stages “Comedy of Errors” on October 18 and 19. “Comedy of Errors” is the story of mistaken identity and misspent love as two sets of twins go about their near-miss adventures. Shows will be presented at 7 p.m. on Friday, October 18 and Saturday, October 19 in the Auditorium at 9800 Lawler, Skokie. Tickets are $10. Call the Box Office at (847) 626-2122 to purchase tickets. A free community performance will be held at 10 a.m. on Thursday, October 17. The cast for “Comedy of Errors” includes: Ryan Loach as Antipholus of Syracuse; Jacob Bernstein as Dromio of Syracuse; Noah Zeidman as Antipholus of Ephesus; Spencer Soglin as Dromio of Ephesus; Natalie Aleman as Adriana; Joanna Vaklin as Luciana; Geoffrey Schmelzer as Egeon; Joe Isip as Solinus; Maddie Martin as Abbess; Hannah Sahyouni as Balthasar; Sam Rosenfeld as Angelo; Nathaniel Schetter as 1st Merchant; Kate Bean as 2nd Merchant; Joe Isip as Pinch; Alex Monte as Courtesan; Julia Melnick as Luce/Nell; David Gilbert as Officer; and Emi Kanda as Officer and Messenger. Technical Staff/Crew: Timothy Ortmann, Director; Annaliisa Ahlman, Scenic Designer; Teresa Ripley, Costume Designer; Danielle Kropveld, Stage Manager; Teresa Franks, Assistant Director; Sabina Dzelilovic, Assistant Technical Director; Simon Gebremedhin, Shop Manager; Allegra Rosenberg and Saher Steiner, Properties; Rochelle Kropveld and Marty Wiviott, Carpenters; Maddie Martin, Sound Designer; Nathan Selinger, Lighting Designer; Robin Wallace, Assistant Lighting Designer; Jacqueline Shannon, Master Electrician; Linda Room, Costume Assistant; Jodie Herman, Callie Folke and Sara Morrison, Costumes; Production Assistant, Anne Zavell and Sara Morrison, House Manager.